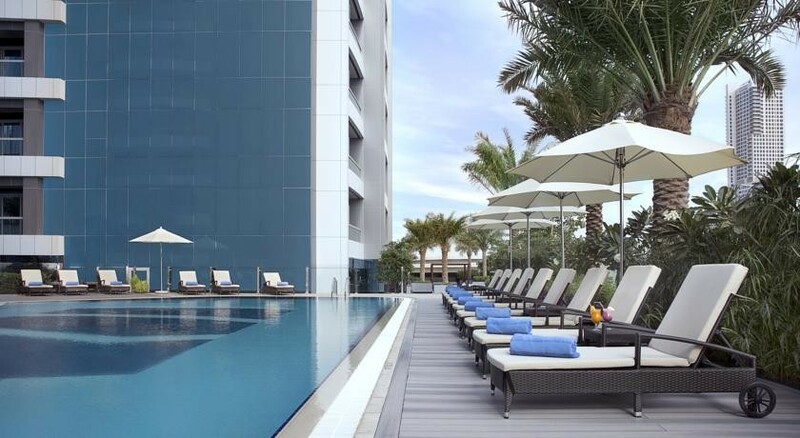 Atana Hotel Dubai is a 4-star property located at a prime location is close to the Jumeriah beach, shopping centres like Mall of Emirates, and public transport terminals. Indulge in luxury at the plush and feature rich rooms while you stay here. Enjoy your stay here as fully furnished rooms with come with tea and coffee making facilities. Let an entire floor of shopping outlets, a swimming pool and a sun terrace woo you in addition to a wide variety of restaurants and bars catering to the different distinct tastes. As a bonus, the hotel offers a rooftop shisha parlour to have a mesmerising view of the skyline and enjoy Dubai nights in the most traditional way. 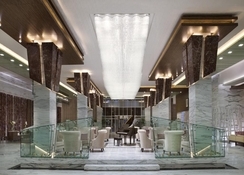 Atana Hotel Dubai is located close to Al Sufouh Beach, at a distance of 3.5km from the hotel. The Dubai Internet City metro station is 800m from the hotel. The Mall of the Emirates is 6.2km from the hotel. Located only 5km from the hotel is the Madinat Jumeriah where you can chart your way through water taxis to explore a world of restaurants, shops and bars. The Dubai International Airport is 29km from the hotel. The hotel offers a variety of accommodation options catering to families, business travellers or couples. Guests can choose between Standard twin rooms, Standard king rooms- double occupancy, Deluxe king rooms, Standard triple rooms, Family quad rooms, Atana suites, Family interconnecting rooms, two-bedroom suites and Standard king room – single occupancy. While Standard twin rooms offer bathrobe and slippers, bathtub, free toiletries and hair dryers, Standard king rooms, Deluxe king rooms, and Standard triple rooms offer a seating area, sofa and a TV. Family quad rooms are suitable for accommodating four adults or alternatively two adults and two children. The rooms have one full bathroom and an additional half bathroom. Atana suites offer a much larger living area and are decorated beautifully with tea and coffee making facilities. The Garden Restaurant offers an assortment of cuisines all over the world and treats guests to a gala all-day dining extravaganza. 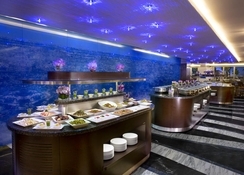 So, sample the best of Asian, Indian, Mediterranean, Italian and Arabic delicacies. 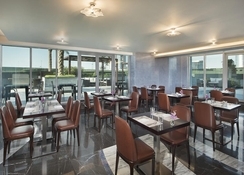 Treat your taste buds to the best of what Mediterranean cuisine has to offer at the Olives restaurant as chefs create magic all over breakfast, lunch and dinner. 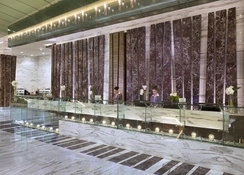 Indulge in the most passionate ambience at the Piano lounge as you meet people over a flawless cup of coffee. Help yourself with a delectable range of salads, sandwiches, pastries and more. Last but not the least; the hotel is home to a beautiful shisha lounge on the rooftop. Unwind at the Atana hotel Spa and feel rejuvenated with a plethora of spa and massage options. Choose between aromatherapy, reflexology, Swedish and sport massages. 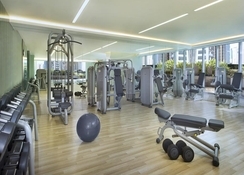 The hotel also offers a state-of-the-art fitness centre. Keep burning those calories with cardio vascular equipment, machines and a free weight area. After a workout session head to the sauna and thoroughly enjoy a steam bath. Escape into the blue at the temperature-controlled rooftop pool at the hotel. For kids, the Atana kids’ club is an ideal retreat which offers numerous games and activities.